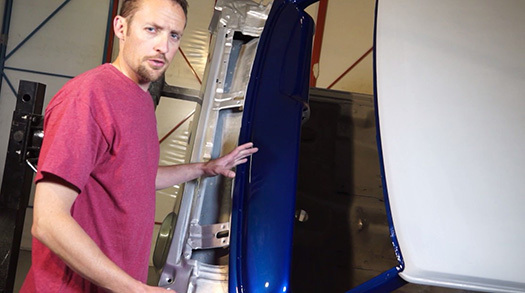 In this episode, Rob Baker will take us through sanding the firewall and dashboard to rid the restomod of orange peel and/or dirt that may have gotten into the clear coat. When they buff it out, it will provide that perfect showroom shine. 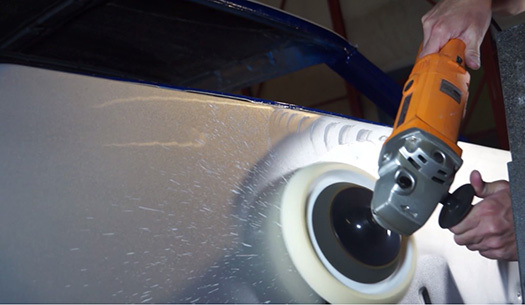 Rob will use 2000 grit sandpaper just to give it a really smooth coat and eliminate any initial items in the clear coat, as the clear laid extremely well. The buffer will now be used, after the 2000 grit sandpaper has completely sanded the firewall and dashboard. This will assist in bringing the shine back out with just a tiny amount of compound. When using the buffer, either the foam pads or the wool pads, be very careful around any edges or corners, as it will burn through. 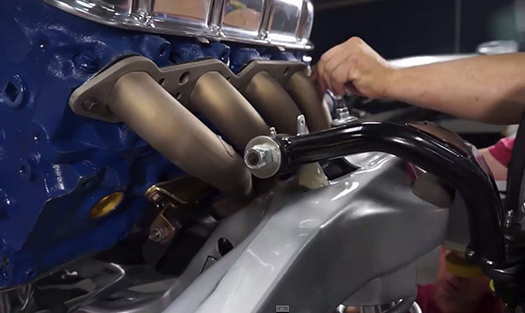 Now that the firewall and dashboard have been sanded and buffed, watch as The Build team continues to put back together the 1965 Chevy Malibu restomod. 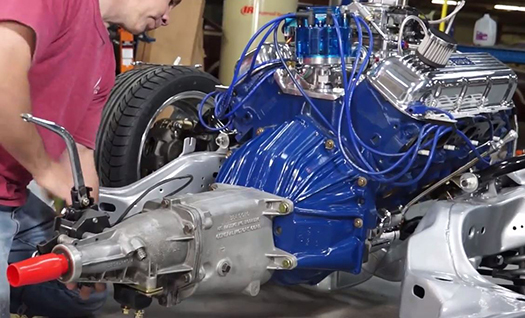 Make sure to watch the other episodes on our YouTube channel, and follow the progress of our collector car on our Facebook page too! 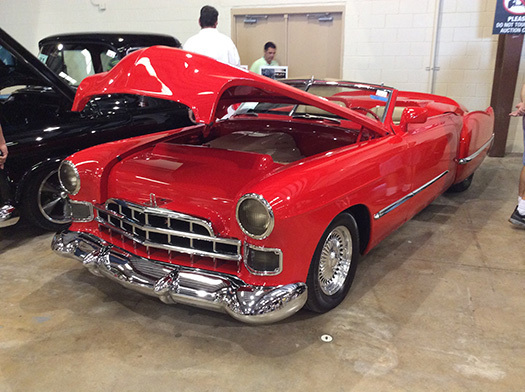 The spring 2015 Barrett Jackson auction in West Palm Beach, Florida was one for the books. With over 500 “no reserve” cars going across the block, it was an exciting weekend. I had the privilege to work with TDC Agency, a Barrett Jackson endorsed insurance provider. As far as the auction goes, the trends continue. 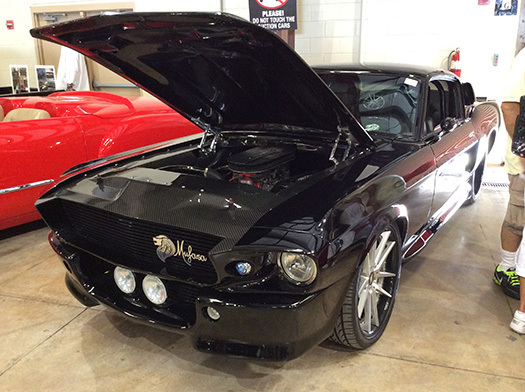 High-quality restorations and high-quality modified cars are bringing good money. Muscle cars make up a pretty good chunk of what went across the block. Because of the multiple generations that adore them, they are always a hot seller. There were also plenty of deals to be had. Don’t let the auction intimidate you. Lots of cars sold for under $20,000. I met a lot of first time auction buyers. The excitement they had bidding and winning their dream cars is second to none. There is literally something for everybody. 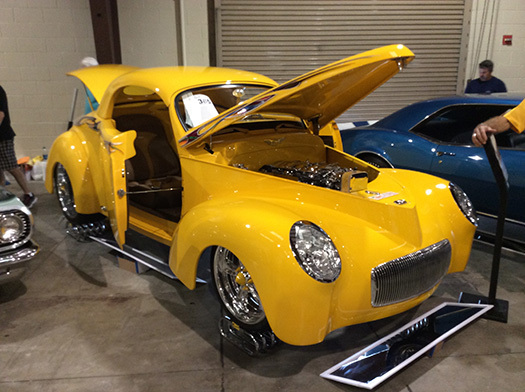 High end luxury cars like Bentleys, custom street rods, muscle cars, both stock and modified, and a long list of unique old cars that fit perfectly in the collector car hobby. If you’re not in the market to buy, just going to an auction as a spectator is worth it. It is as much of a car show as it is an auction. 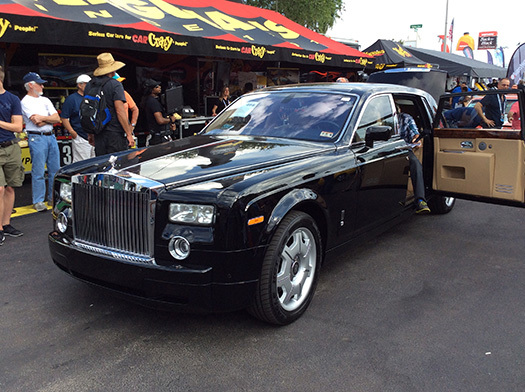 A Barrett Jackson auction should be on everyone’s bucket list. The 1952 Buick Estate Wagon was the most expensive of all the Buicks built that year, and with such a steep base price, only 1,830 customers were able to give one a home. It was a desirable choice for affluent moms with growing families across the country. 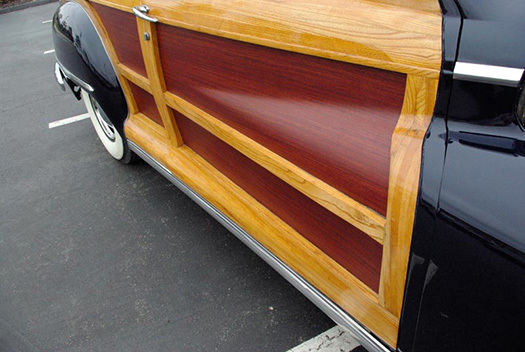 The Estate Wagons were sent to Ionia, Michigan partially completed for the fabrication of the wood components. 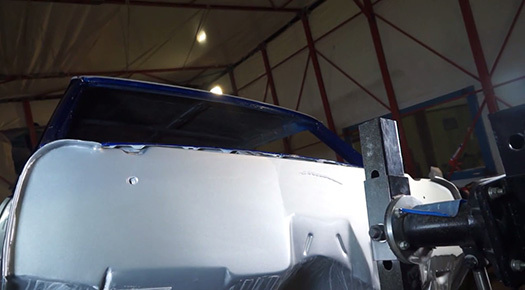 The car would then be mounted on a jig and assembled on a small production line. When finished, they were shipped back to Buick in Flint for final assembly. It was a slow process but those craftsmen were able to create some amazingly beautiful cars that remain incredibly desirable today. 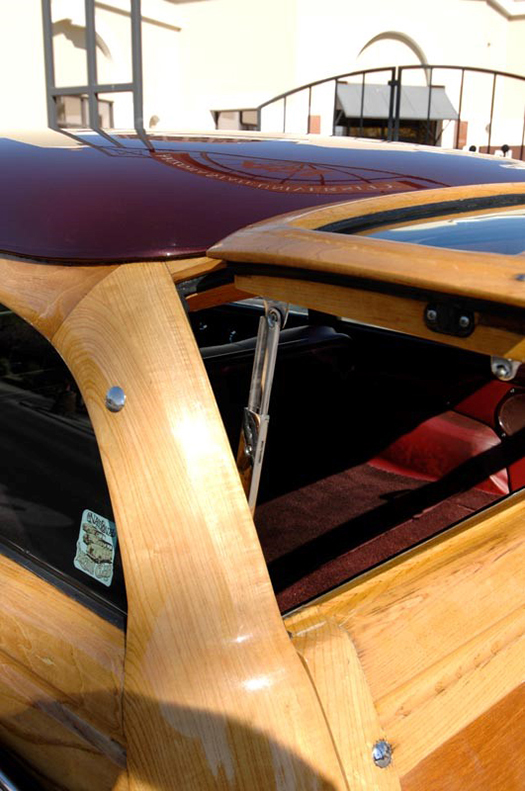 A beautiful “woodie” such as this is not only a fine investment, but also an attention getting statement of quality and style wherever it is driven. The 1952 Estate Wagon makes a wonderfully useful classic that harkens back to an era of fine craftsmanship, yet it is able to perform admirably on modern roads at highway speeds. Buick began with a standard chassis and incorporated styling inspired by Harley Earl’s concept and Motorama cars, and the stylish Estate Wagons began as a limited production rolling tribute to all the design inspirations from General Motors that had transpired in the prior years. 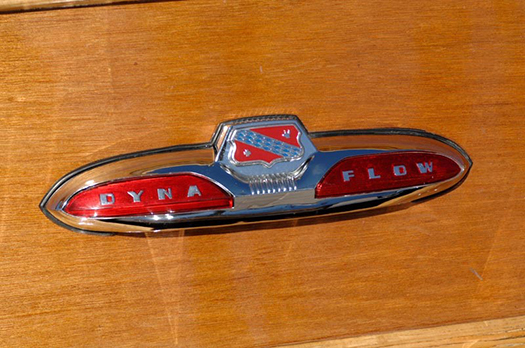 Under the hood of this beauty is the original 263 cubic inch straight eight Dynaflash engine mated to a reliable Dynaflow automatic transmission. 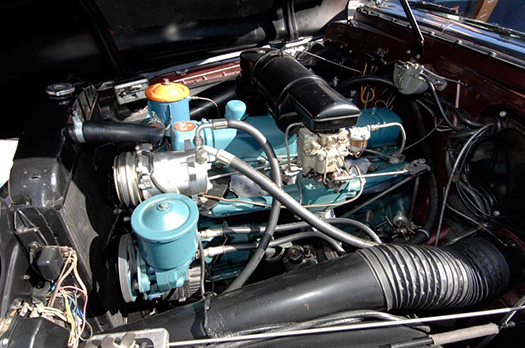 The engine was a proven power plant, which drove the horsepower to a sprightly 120. 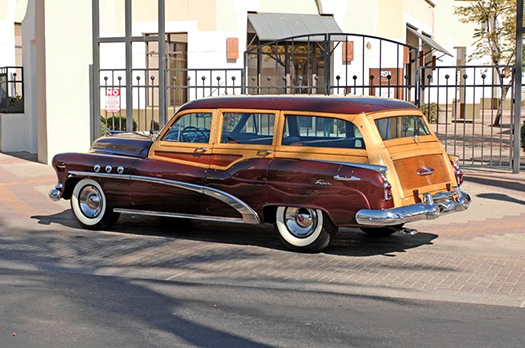 The end of the production of the Buick Estate Wagon in 1953 meant the end of the mass-produced wood-bodied station wagon in the United States for good. Originally designed for Jaguar by Malcolm Sayer as a replacement for the legendry D-Type, the E-Type would soon be known as one of the most desirable automotive designs ever. None other than Enzo Ferrari called it “the most beautiful automobile in the world”, and nothing could touch its performance throughout the late 60’s. 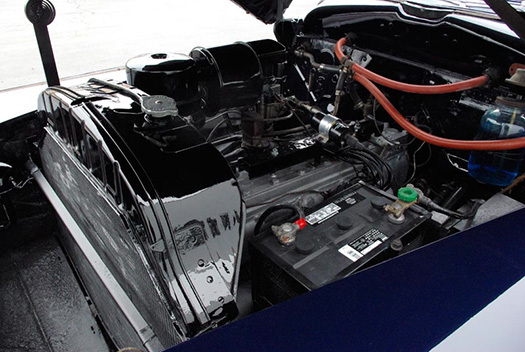 After years of testing and development, the company introduced its first production V-12 to the market in 1971. The new 5.3-liter V-12 was the first mass-produced V-12 to come to market in over 20 years and Jaguar’s first new engine since the début of the post-war XK120 in 1948. The new motor was offered in roadster and 2+2 configurations only, with the longer 105” wheelbase chassis introduced in 1966. Jaguar also widened the front and rear track to accommodate the more powerful motor, which also necessitated a longer hood with a low mounted air intake and larger grille. Flared wheel arches accommodate larger tires necessary to handle the increase in power. The “Big Cat” could easily reach 145 MPH, and could achieve 0-60 MPH in less than 7 seconds. 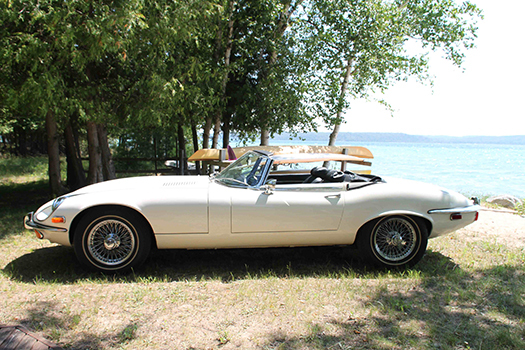 The new E-type’s debut was at the New York Auto Show on March 25, 1971. Known to aficionados as a Series III, the V-12 was offered from 1971–1974. During the four-year production run, a total of 15,287 examples were produced, including 1,718 roadsters in 1972. Painted a classic combination of Old English White over dark blue, this lovely E-Type is wearing the color scheme with which it was born, and 95% of the paint is original, save a few minor paint chip repairs in 1990. It has never been restored, and the engine has never been out of the car. It was photographed today with just 6,400 original miles. 1972 represents a great year for the E-Type, as the worst period smog restrictions were not yet in place, and the US Safety regulations did not yet require the large bumpers that would appear in 1973. 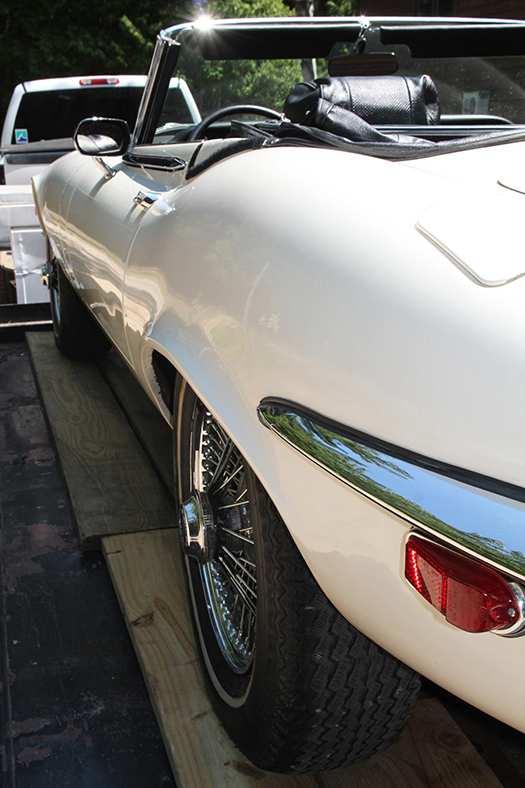 With its longer wheelbase, the Series III E-Type features more legroom and luxury than ever, and is one of the great Grand Touring autos of all time. In any condition, a V12 E-Type represents an amazing entry into the world of 12-cylinder motoring, and in this case, it’s an example that has literally never been altered. Every so often a car manufacturer builds a car that is so outside of its normal range that the whole automotive world stops and stares at it. Such was the case with the Acura NSX. 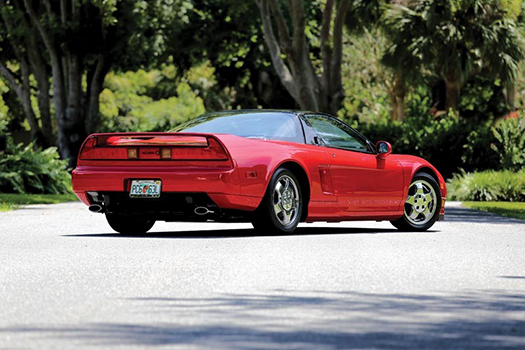 Beginning as early as 1984, Honda had Ferrari squarely in its sights as it prepared to enter he world supercar market. Their benchmark vehicles were the world-class Italian sports cars of the day, and Acura even commissioned Pininfarina to design the first prototypes, with direction that the car needed to be as fast as anything coming out of Italy or Germany, but with superior reliability and a lower price point. Much like high-performance aircraft or racing hydroplanes, the NSX’s cab-forward design with the power plant behind the driver optimizes visibility and at the same time, allows a very low center of gravity, great weight distribution, and thus, impressive high-speed stability. Much of the technology was derived from Honda’s successful F1 Motorsports program, including the all-aluminum engine’s ability to gloriously rev to 8,000 RPMs. 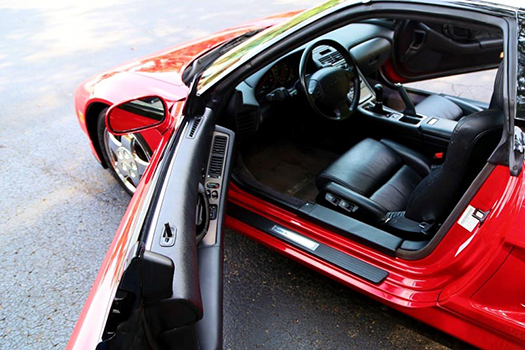 The NSX was the first production car to feature an all-aluminum monocoque body, incorporating a revolutionary extruded aluminum alloy frame and suspension. The use of aluminum in the body alone saved nearly 440 lbs. in weight over the steel equivalent, while the aluminum suspension saved an additional 44 lbs. Other notable performance features include an independent 4-channel anti-lock disc brake system, titanium connecting rods in the engine to permit reliable high-rpm operation, an electric power steering system, and Honda’s proprietary VTEC variable valve timing system. Chassis and suspension input came from the top, with no less that Formula One Champion Ayrton Senna and Indy 500 Champion Bobby Rahal lending their considerable race car experience to create the ultimate handling road car. The proof of their success came in several forms. 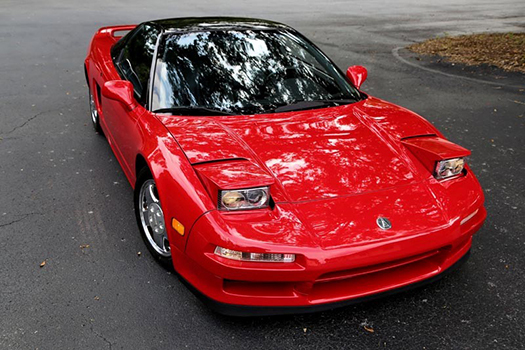 With a recorded 0 – 60 time of 5.03 and a very quick 13.47 in the quarter mile, the NSX is undeniably world-class fast. Second, the NSX has proven to be one of the most reliable and easy to service supercars of all time, with many examples able to exceed 200,000 miles of active driving before major engine service is requited. Third, numerous industry awards followed, including the coveted Automobile of the Year from Automobile Magazine and rave performance reviews from Motor Trend after the NSX stood out above the 911s and Corvettes of the day on the track. Beginning in 1961, Elwood Engle’s striking modern design for the newly named Lincoln Continental began an immensely successful decade for the big Lincoln flagship. It was one of the last vehicles to be completely designed by one man, and soon, every other car manufacturer was imitating its cohesive style. 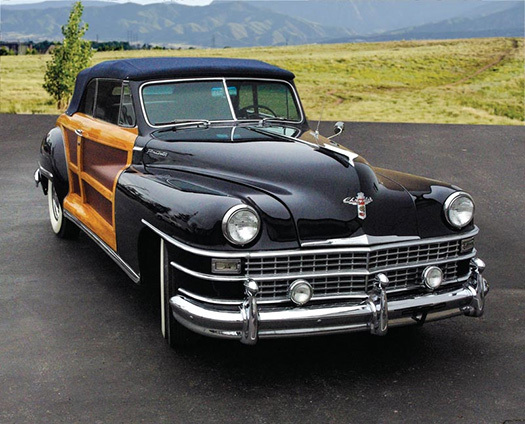 Certain features like the distinctive grille and front opening rear doors became Lincoln trademarks throughout the entire decade. 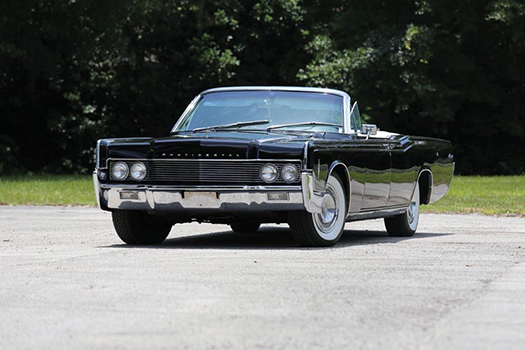 By 1964, the wheelbase was extended 3 inches, and in 1966, the first 2-door Lincoln since 1960 was launched. 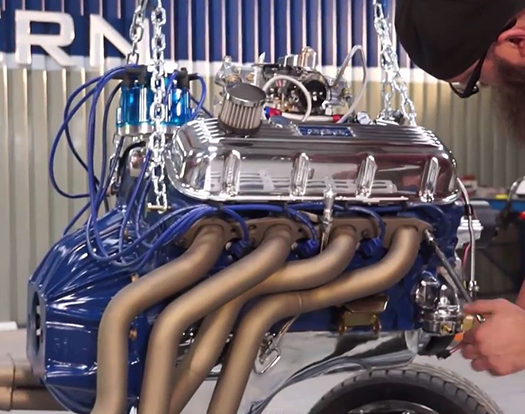 The V-8 engine was pumped up from 430 to 462 cubic inches, and the car was also given all-new exterior sheet metal and a stylish new interior design. Parking lights and front turn signals went back into the front bumper, and tail lights were set inside the rear bumper for the first time. 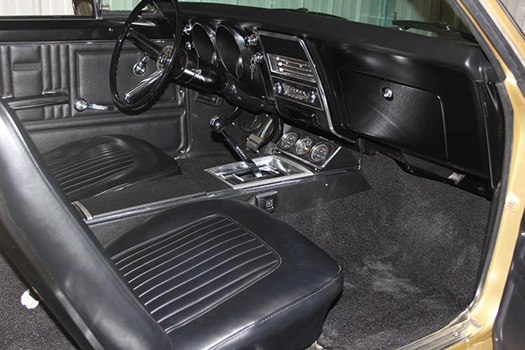 The 1966 convertibles were improved with select technical changes related to lowering and raising the top. 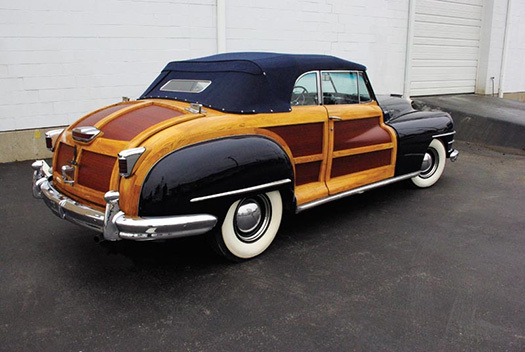 Lincoln engineers separated the hydraulics for the top and rear deck lid by adding a second pump and eliminating the hydraulic solenoids. A glass rear window replaced the previous years’ plastic windows. Sales increased to 54,755 units for the model year, but just 6% of those were the 4-door convertibles. 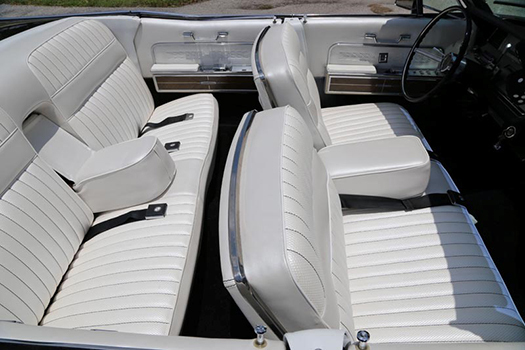 By 1967, the Lincoln Continental 4-door convertible was gone, the last 4-door fully open car available in the US. 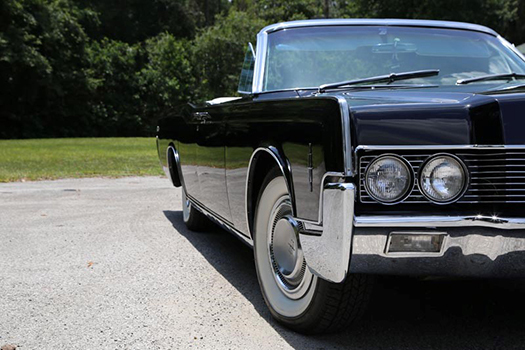 The 1966 Lincoln Continentals were fresh, powerful, quiet, and smooth, and represent everything a luxury car buyer could have possibly wanted in 1966, and they remain just as popular among Lincoln enthusiasts and collectors today. 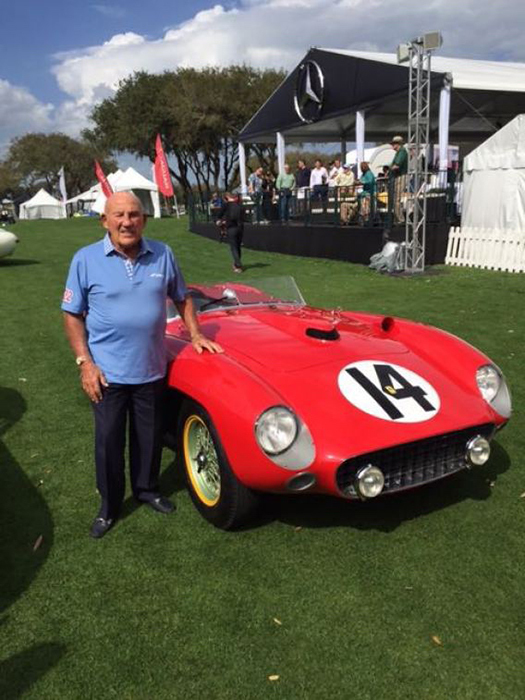 The sheer volume of truly significant automobiles at the 2015 Amelia Island Concours is breathtaking, but none were more significant to me than the display of race cars owned and driven by Sir Stirling Moss at the far end of the Ritz Carlton’s 18th fairway. 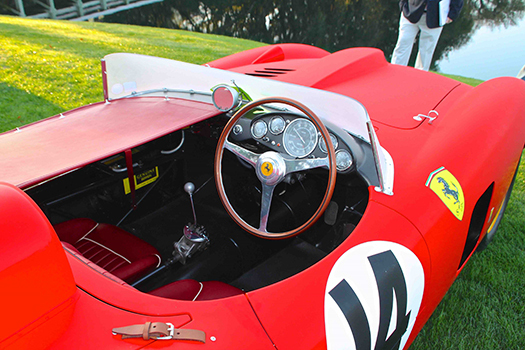 The 1956 Ferrari 290MM car was presented in impeccable condition out of the Pierrey Collection in London. 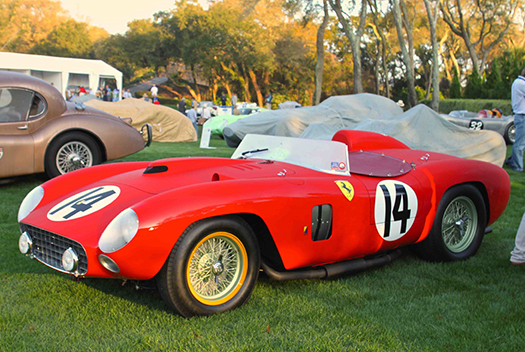 The Ferrari 290 MM displayed at the 20th Annual Amelia Island Concours d’Elegance was restored by the Classiche Department at Ferrari in 2014, was awarded the “The Chairman’s Choice Trophy for the Car Found Most Appealing by the Chairman”, simply confirming for us Bill Warner’s impeccable taste. Final approval for the award came from Honorary Chairman Sir Stirling Moss himself, who played a big role in the Ferrari’s impressive race history. Built in 1956 to take part in sports prototype competitions, this 290 MM (chassis 0628M) actually started life as an 860 Monza powered by a large-displacement 4-cylinder. Its maiden race was the Mille Miglia in which it competed as an official works car, finishing second overall at the hands of Englishman Peter Collins. Photographer Louis Klemantaski served as co-driver, documenting the 1000-mile race with his camera along the way. In that same year, the Ferrari also came second in the Coppa d’Oro delle Dolomiti with Olivier Gendebien and Jacques Washer as well as third in the Targa Florio, with Hans Herrmann and Gendebien and in the Aosta-Gran San Bernardo in the hands of Italian driver, Umberto Maglioli. At the end of 1956, however, Enzo Ferrari decided to replace the 4-cylinder engine with a 12-cylinder and the car was renamed the 290 MM. It made its debut at the Buenos Aires 1000 Kilometres in January during which Wolfgang Von Trips, Peter Collins and Eugenio Castellotti drove it to third position. Late in the 1957 season Stirling Moss raced this Ferrari twice for the Temple Buell team at the fourth Bahamas Speed Week in Nassau, winning the 100-mile Nassau Trophy and the 250-mile Governor’s Trophy. 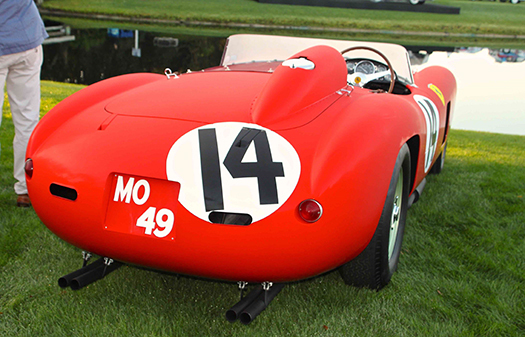 The races were significant as Moss’ first drives in a V-12 Ferrari sports racing car. The following year, Dan Gurney delivered a second-place finish in the 290 MM at the International Formula Libre Grand Prix at Watkins Glen and 0628M continued racing until 1961. Years later, the 290 MM embarked on a second career, competing in the classic car races like the Mille Miglia Retrospective and Monterey Historics, in addition to honored spots at both the Pebble Beach Concours and Cavallino Classic. Chassis 0628M through the years underwent major modifications after an accident, but eventually it was sent directly to the Classiche Department for restoration to its original form. 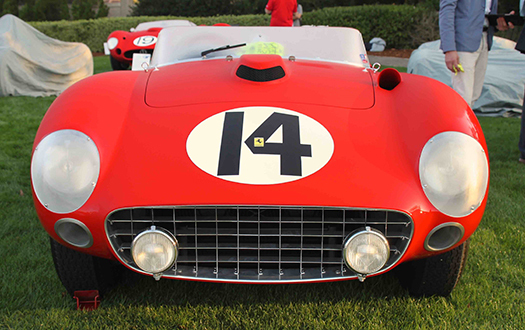 It appeared at the Amelia Island Concours d’Elegance 2015 wearing its number from the 1957 Sebring 12 Hours, as raced by Phil Hill and Wolfgang von Trips. Contrary to popular belief, the Chevrolet Camaro was designed from the outset as a more conventional replacement for the rear-engine Corvair and not a belated General Motors response to Ford’s wildly successful Mustang. From its debut in late 1966, the Camaro was value-priced from just $2,466 for the basic 6-cylinder hardtop coupe and available with a wide range of option packages. 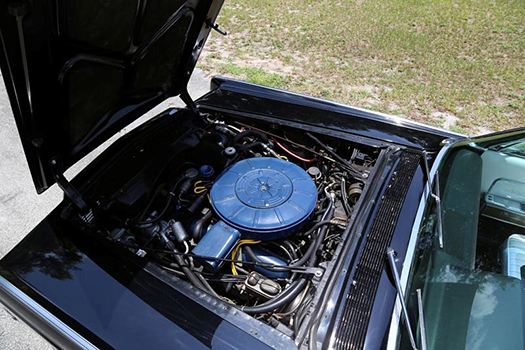 Best of all for performance fans, the Camaro’s engine bay was able to accommodate virtually the entire Chevrolet passenger-car engine range from thrifty sixes and lightweight small-blocks all the way up to the fire-breathing Mark IV big-blocks. 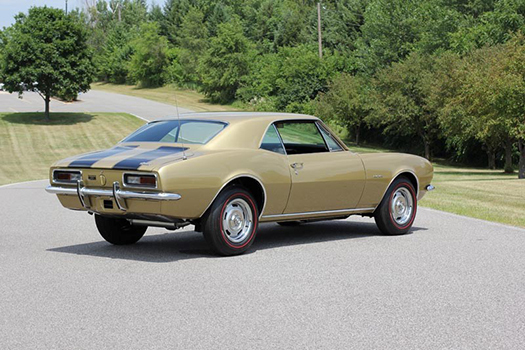 The Camaro proved to be an extremely successful gamble for Chevrolet, with total production for the 1967 model year reaching nearly 221,000 vehicles. Meanwhile, Ford Mustang sales began to stall, reflecting the greater variety of competitors in an increasingly crowded market for sporty personal cars in America. Both would take their showroom battle to the track and their duels would quickly become the stuff of racing legends. Conceived and built with development spearheaded by Chevrolet’s Vince Piggins as the GM Division’s new SCCA Trans-Am racing contender, the thoroughly engineered RPO (Regular Production Option) Z/28 option package was quietly introduced for the Camaro in 1967 to homologate the car for racing. 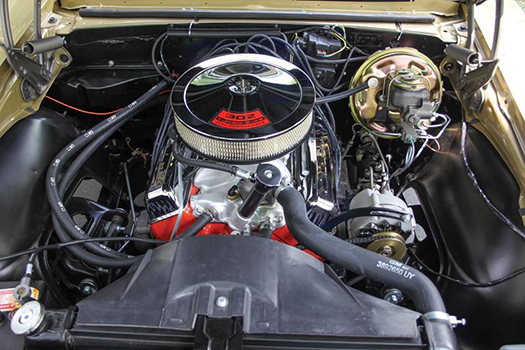 At its heart, the Z/28 featured a high-winding and tough small-block V-8 engine, combining the basic dimensions of the 327-cylinder block and 283 crankshaft to yield 302 cubic inches. 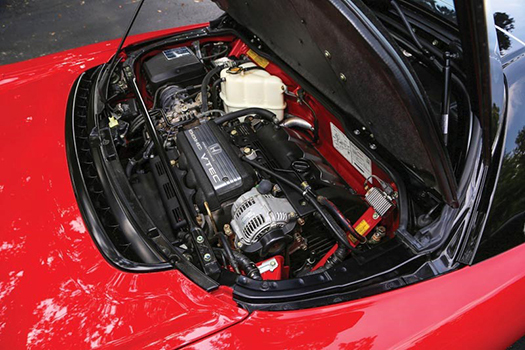 Highly developed underpinnings and other race-bred tweaks maximized the Z/28’s power output, and many generations of race car drivers know how well balanced the 302 equipped Z/28s have always been. All-out racing versions were most successfully campaigned by Penske Racing and piloted by star driver Mark Donohue to back-to-back SCCA Trans-Am championships in 1968 and 1969 against ferocious competition from the Bud Moore and Shelby-prepped Mustangs. Despite its road-racing intent, the Z/28 was also quite formidable on the drag strip. According to period magazine road tests, the Z/28 was a solid 14-second car in stock trim with low-13s easily achieved with narrow slicks, lower rear-end gears (3.73:1 standard), open headers, and expert tuning. Dave Strickler’s famous Bill Jenkins-prepped “Old Reliable” Z/28 ran 11.70s in full-on Super Stock trim, capturing the 1968 NHRA Super Stock World Championship and confirming the vast potential of the Z/28’s small but mighty 302. 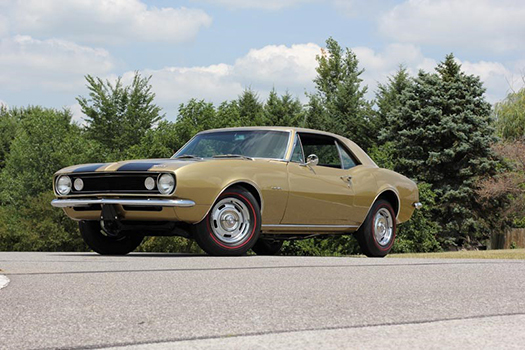 For many, the rare first-year 1967 Z/28 represents the pinnacle of the first-generation Camaro series, with features, styling cues, and race-inspired performance that makes it one of the most desirable Camaro models ever.